Below is the full list of public Business Development Companies found in AdvantageData's BDC Advantage. This post was originally published on October 18th, 2016. The contents on this post, and the business development companies herein, have been updated with the latest information available as of March 5, 2018. A 2019 BDC Preview: Misery in the Forecast? Loan market participants enter 2019 looking back at a miserable December. Senior secured loans traded off the most since early 2016. BB-rated loans were trading below $96.00 for the first time in the three-year span and nearly all loans fell below par. It’s Week Two of the late 2018 BDC rally. More than three-quarters of the 45 BDCs we track were up in price, just like the week before. The price of the UBS Exchange Traded Note which covers most of the companies in the sector – BDCS – was up to $19.76. That’s 2.0% on the week, and 5.0% over a fortnight. The Wells Fargo BDC Index – which provides more of a total return picture – was up 2.7%. 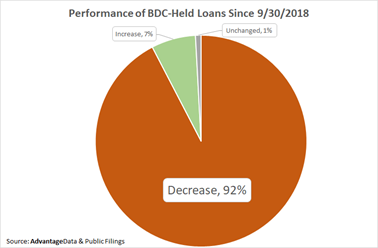 A deluge of earnings took center stage last week and while results inevitably spurred a number of notable downside movers, the tone in the broader leveraged finance market slowly improved over the course of the week, opening the door for new opportunistic business such as Bausch Health’s latest refinancing effort. Among the week’s biggest earnings-related standouts were Air Methods, Akorn and Revlon. MARKET RALLY MARCHES ON ? 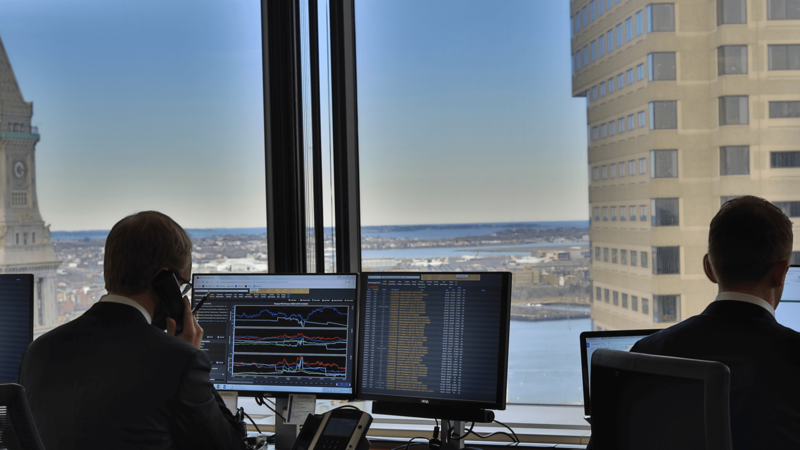 : The BDC sector – as measured by the BDC Wells Fargo Index – was up 2.7% last week, reflecting a broad based rally across the 45 public companies tracked. That was the second week in a row that the BDC sector headed up in price, following 5 consecutive weeks of descent that ended the prior rally which had begun in March 2018.